What a great find. Everyday cloth napkins made from a stain release poly blend that you find at major hotels and restaurants. 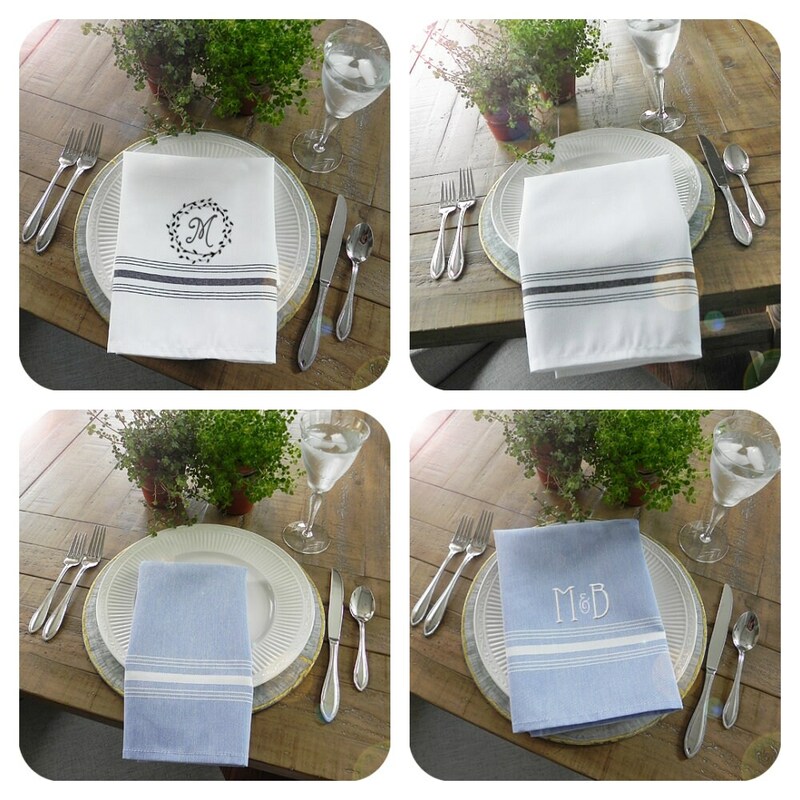 Premium weight with a decorative thick and thin stripe contrast band on the lower part of the napkin. Pairs equally well with modern or vintage farmhouse styles. Love these! Colors available: White with black band and Blue frost with a white band.